At National Payday, we understand how stressful it can be when you have an emergency come up – and you don’t have the cash you need to get through it. Whether your car broke down on the way to work, or your kid needed an emergency ER visit, we get it. 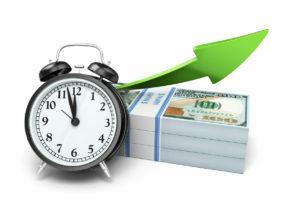 That’s why we make the process of getting same day cash quick, easy, and painless. Read on below and learn more about what is a payday loan and how to get a cash loan immediately with our same day cash program! What Do I Need to Do to Apply for a Same Day Cash Payday Loan? Getting same day cash loans online from National Payday is totally simple. All you have to do is apply online with our simple form. At first, we will only need some basic information from you, such as your address, name, and phone number. We will need a few documents from you to complete the application process. Learn how to get a guaranteed payday loan here. Be at least 18 years of age or older and a U.S. citizen – We cannot lend to minors or foreign nationals. Have an open and active checking account – We give you same day cash via ACH direct deposit, so you must have an open and active checking account without any holds in order to get your funds. Income verification to prove that you have income – Typically, a pay stub is the best way to do this, as it also verifies your address. We can also use bank statements, in some cases. If you meet these qualifications, you can apply for a same day payday loan in the amount of $200-$1000. After you’ve repaid your first loan, you’ll be able to borrow as much as $1,500 at a time! If you’re qualified, we’ll approve your loan, and send the funds ASAP – often on the same day if requested, or as soon as the next business day. How Can I Make Sure I Get My Cash on the Same Day? If you need a payday loan with quick approval and need your cash to be deposited on the same day, that’s no problem! All you have to do is make sure that you complete and submit your application by 11:50 a.m. EST on a business day (M-F). If you are able to submit your application by that deadline, you will be eligible to get your money deposited into your account on the same business day – as long as you are approved. The deadline is very early because bank transaction processing takes a long time – and we need to make sure we have plenty of time to get your money sent to your account. Typically, your funds will be deposited into your account sometime after 5:00 p.m. your time zone. You’ll be able to start using this money right away! If you complete your application after 11:50 a.m. EST, don’t worry. If you’re approved, the money will be deposited into your bank account on the next business day. Start Your Application Now – and Get Your Cash Fast! If you need cash fast, there is no better choice than National Payday. With our easy application process, minimal requirements, and fast deposits, you can get the cash you need – when you need it. Apply today and get started.